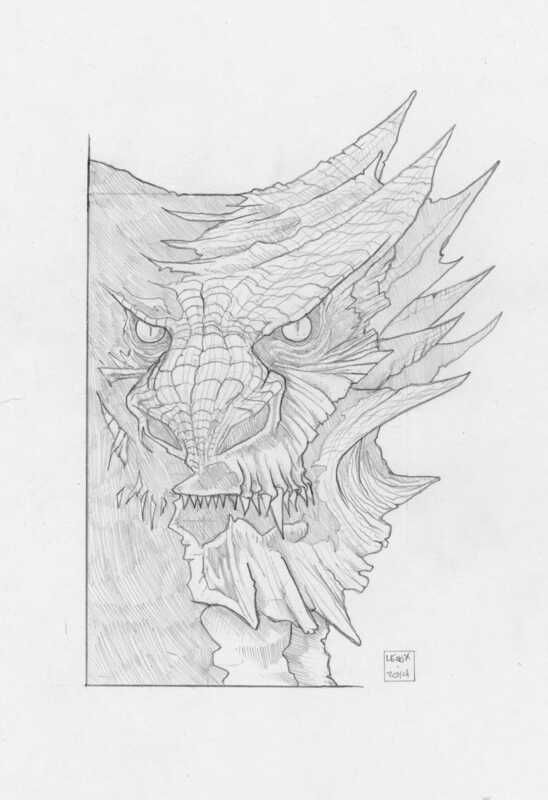 A fun commission for a client- the Peter Jackson Hobbit film version of the Great Dragon- SMAUG! I really didn’t like the film design, but I think I was able to pull something good out of their design. Full disclosure, I love the Rankin Bass version of Smaug from 1977 better. I used the same square edge composition I did on “Skull King” for this one, and It had a really cool graphic design result to the final pencils.